In the lineup of Lexus sedans, all of which are noted for their exceptionalism, the GS 350 is the midsize wonder that accentuates performance, back seat comfort, and (now) technology. 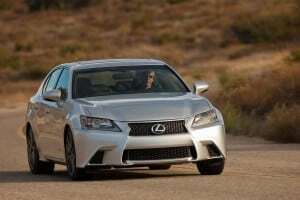 In automotive review circles, the Lexus GS is often forgotten as journalists make note of the more “wow”-heavy machines like the RC-F and highly efficient ES 300h. 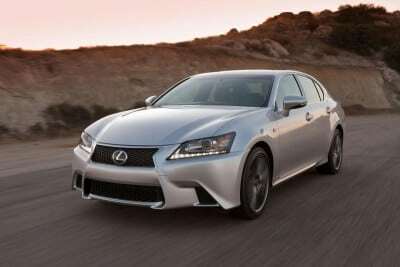 Yet the 2015 Lexus GS 350 remains a mainstay midsize luxury sedan that offers a near-perfect mixture of performance, value, and comfort. It’s certainly one of the more comfortable Lexus cars to drive everyday and it now has a solid technology offering to go with that. 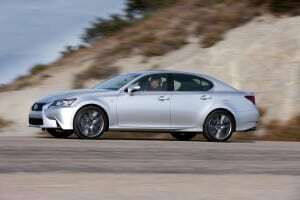 Competing with other luxury sedans in a relatively quiet market, the Lexus GS 350 has a lot to offer and gives the Europeans who dominate this segment a run for their money. The 2015 Lexus GS 350 is offered in two trim levels with package options available. The base trim is the most common and a new Crafted Line limited trim can be had as an upgrade. 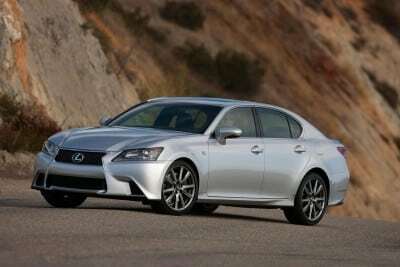 On the outside, the 2015 Lexus GS 350 looks very much like other Lexus sedans in the line. 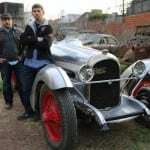 The front grille is less accentuated than it is in some other models and the hood is more saloon-like rather than heavily rounded at front. This is a more old world approach to design and is what made Lexus a popular luxury line in years past. The slower-paced hood has beautiful accents to create wide fenders and large scoops at the bottom of the fascia. Bodywork along the sides of the GS 350 is simple, with a dual line created a sophisticated motion line just below the belt from the apex of the front fender’s bulge to the top of the rear tail lamp. The coupe-style roof adds more movement to this. The rear quarter has a simple deck lid, a small spoiler effect, and a bumper that doesn’t protrude. Slitted exhaust pipes fit under that bumper to finish the elegance shown. The Lexus GS 350 has a very well-defined and beautiful look for a sedan. 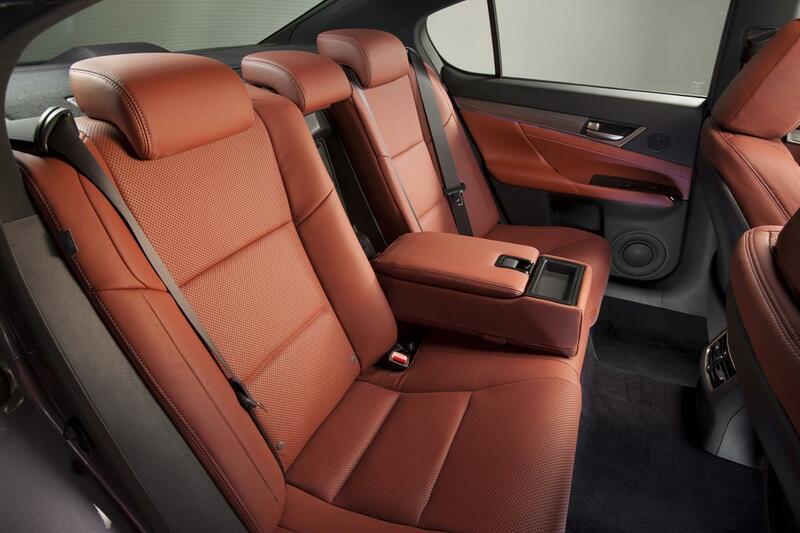 Quality materials and excellent design are the hallmarks of Lexus interiors and the GS 350 continues with that tradition. Trim points are wood, aluminum, and (in the F-SPORT) faux carbon fiber. Front seat comfort is premium with a great feel in either seat. Driver’s controls are well-placed and easy to reach. Roominess all around is the key here. In the back seats, three across is a bit of a cramp, but two adults can sit very comfortably. Even a tall front seat driver or passenger will not impinge too much on the rear seat’s legroom. 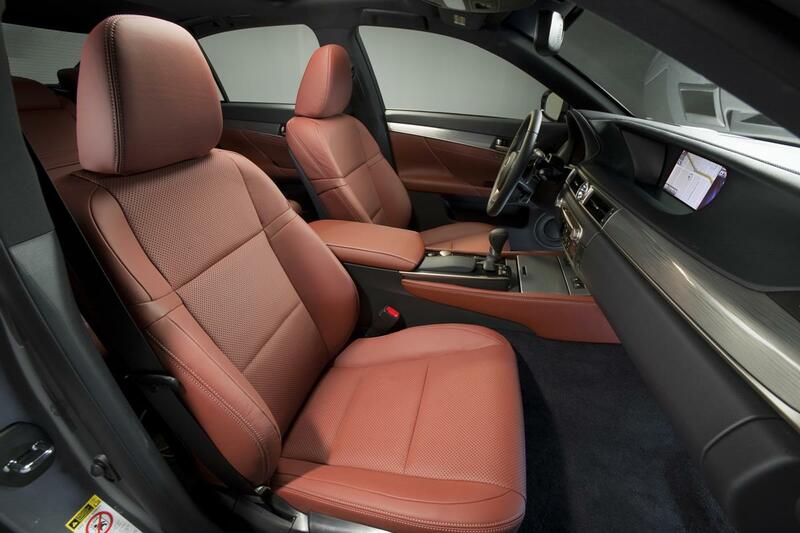 The GS 350 is one of the more comfortable in rear seating in this class. The interior of the GS 350 is dominated by the huge infotainment screen at the center of the dash. This 12-inch screen can be split into two or three in order to allow control of multiple functions at once. It’s controlled through the Lexus Remote Touch mouse-like interface that is both intuitive and frustrating to use. The mouse’s ease of use is juxtaposed by the clunky selection interface it controls. The trunk is sized at 14.1 cubic feet with a low loading position, making it one of the better cargo spaces in the midsize segment. A center pass-through for long objects is standard, but the seats do not fold down. The GS 350 is powered by a 3.5-liter V6 that outputs 306 horsepower and 277 pound-feet of torque. 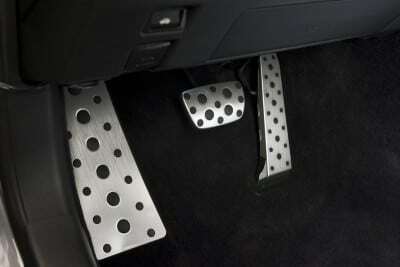 Rear-wheel drive is standard and all-wheel drive is an option. An eight-speed automatic drives the RWD models and a six-speed automatic powers the AWD versions. Those with the rear-wheel option can expect 0-60 times in the 6-second range and AWD will improve that a bit. 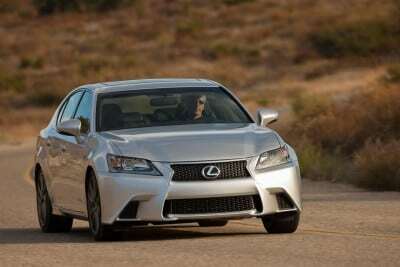 Our test model was an AWD with the F-SPORT package and managed 6 second 0-60 times on average. 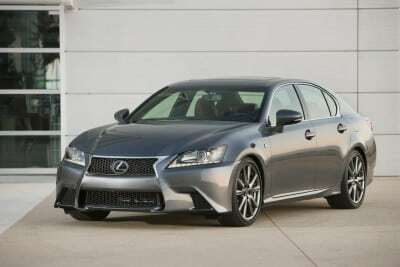 Fuel economy in the 2015 Lexus GS 350 is decent for the class at 23 mpg combined with the RWD model. 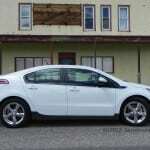 The AWD is rated at 21 mpg combined and we saw 19 mpg as an average during our week with the car. 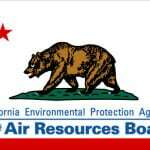 Given altitude and occasional performance runs, that is on par with EPA estimates. The 2015 Lexus GS 350 is a solid drive with a good dynamic and confident presence. It is smooth and well-mannered at all times. 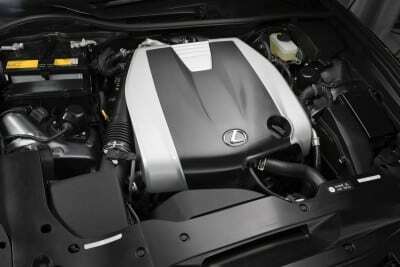 When pressed, or when in the optional Sport+ mode available in the F SPORT model, the GS 350 becomes a fun speedster with a solid chassis. Some competitors may best it on the drag strip or track, but they will not offer the combination of comfort and fun that the well-balanced GS 350 has. 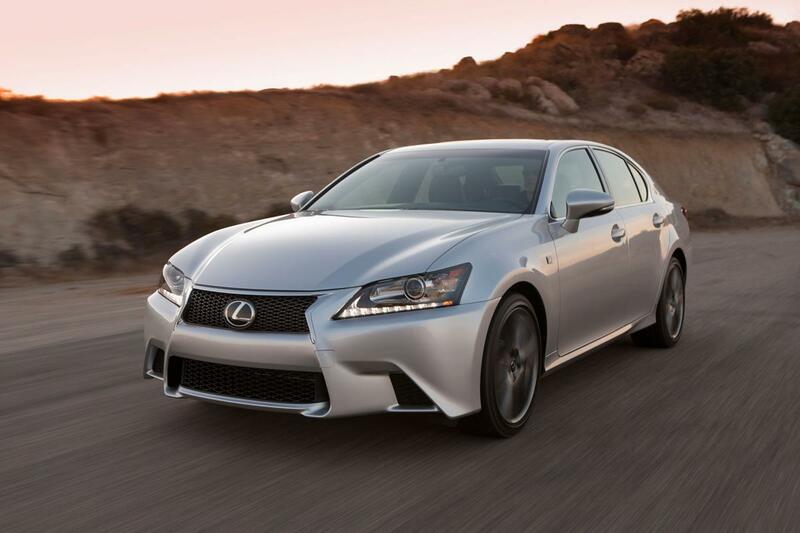 In everyday use, the 2015 GS 350 is a good drive around town and on the highway. 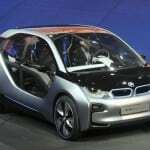 Its ergonomics, aside from the infotainment, are superb and comfort is good for the short and long trip. The GS 350 is one of the best sedans we’ve driven. Key competitors in the midsize luxury sedan market include the Audi A6, BMW 5-Series, and Mercedes-Benz E-Class. The Cadillac CTS is another up-and-comer in the category as well. The German makes are more sporty to drive than is the Lexus, but only the Mercedes-Benz has more luxury, though a higher price tag comes with that. In all, the Lexus GS 350 is a very well-rounded rival against these peers. Very well-balanced drive and daily use vehicle. Solid performance from engine and drivetrain. Back seats do not fold for added cargo. 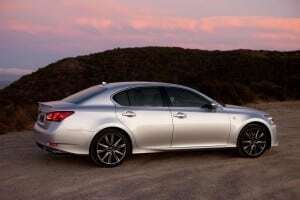 For those desiring a solid luxury vehicle with a great reputation and well-balanced mixture of comfort and sport, the 2015 Lexus GS 350 offers everything you could ask for. Power and performance are enough to keep most people happy while luxurious comfort is kept without breaking the bank. 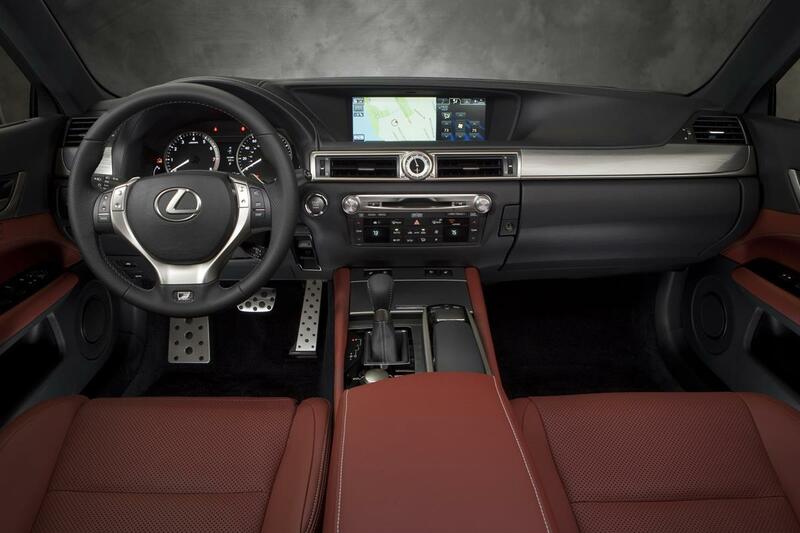 This makes the GS 350 a solid choice for the midsize luxury buyer. The GS 350 was a manufacturer’s press loan for about a week.